Amitzim: Medurot, Peulot, Shabbat and more! Shavua Tov! This past week in Amitzim has been filled with tons of fun. 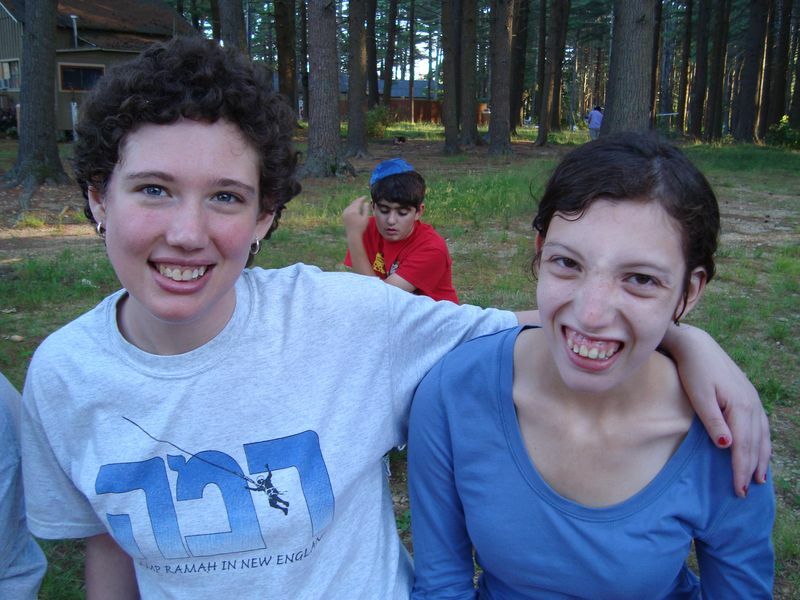 We have been busy here at camp hanging out with friends, participating in our buddy programs, having campfires and performing a dance in front of the whole camp in honor of Tikvah Shabbat! A few nights ago we had a peulat erev or night time activity with Solelim (rising 6th graders). We had a rotation of team building games, learning Hebrew songs and we even painted a mural together. It was a lot of fun getting to really know some new faces in camp. Since then I have even seen some Solelim campers visiting Amitzim campers throughout the day. At our medurah or camp fire this past week we roasted marshmallows, sang campfire songs and heard a few stories from our counselors. Tikvah had a great time being spirited and smiling around the fire. On Friday night we welcomed in Shabbat- Tikvah style! We gathered in front of the whole camp to perform a beautiful dance that we had been preparing since the summer began. Voc-Ed accompanied us with a Shabbat song they had learned. Throughout the service and the rest of Shabbat, members of Tikvah helped out by leading alongside Amitzim counselors,singing kiddush and blessing the candles in front of the entire camp. On Shabbat morning we had a wonderful ruach filled service where our counselors prepared a song about the parsha or Torah portion. We had great weather and a relaxing day together. We are looking forward to this week of new activities, hanging out with our buddies from around camp and going to Six Flags on Thursday!